God had an original plan of Replacement Theology! In the previous installment we demonstrated that in God’s original plan and in his promises to Israel, He always said that He was going to replace the Old with the New– always! And let me reiterate that. Those were promises made to Israel. They were not promises made to the church separate and apart from Israel, and found in the New Covenant. It is simply wrong then for the Dispensationalists to say that Israel had her promises and that the church was given her promises and that those promises are distinct from each other. The indisputable fact is that in Torah, God said He was going to replace the Old Covenant form of Israel with the New Covenant form! The New Covenant form was to be– is – the desired goal of Israel; it is her destiny. This is Biblical Replacement Theology! This is not only true of the replacement of the Old Covenant with the New, or, the replacement of the Levitical priesthood with the “universal priesthood.” No, as we began to see, YHVH actually promised, all along, to replace the Old Covenant people with a New People that He would create! This is a fact that Dispensationalists totally ignore, but, it is irrefutably true, so let’s take a look at just a few of those Old Covenant promises. “But You, O Lord, shall endure forever, And the remembrance of Your name to all generations. You will arise and have mercy on Zion; For the time to favor her, Yes, the set time, has come. For Your servants take pleasure in her stones, And show favor to her dust. So the nations shall fear the name of the Lord, And all the kings of the earth Your glory. For the Lord shall build up Zion; He shall appear in His glory. He shall regard the prayer of the destitute, And shall not despise their prayer. This will be written for the generation to come, That a people yet to be created may praise the Lord. For He looked down from the height of His sanctuary; From heaven the Lord viewed the earth, To hear the groaning of the prisoner, To release those appointed to death, To declare the name of the Lord in Zion, And His praise in Jerusalem, When the peoples are gathered together, And the kingdoms, to serve the Lord” (Psalms 102:12-22). 1. This is a prophecy of the redemption of Zion. 2. It says a “set time” had been determined for that redemption. 3. The Lord would appear in glory. 4. 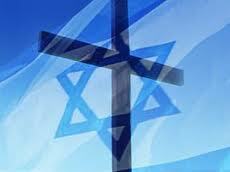 It would be a time when the nations would learn to worship the God of Israel. 5. A people yet to be created would praise YHVH! 6. Those appointed to death would be delivered (this is resurrection!). Notice also the direct relationship with Isaiah 61 and the promise of the releasing of the prisoners and how Jesus applied that in Luke 4. In other words, the time for the fulfillment of Isaiah and Psalms had arrived. Volumes could be written about this text, but notice that in verses 25f all of this would take place at the destruction of “heaven and earth.” What must not be missed is that the Psalmist undeniably foretold the creation of a new people! The constitution of that New People is hinted at when he speaks of the nations coming to serve YHVH. In other words, this New People would include both Israel and the nations. This means that Israel, as an exclusivistic nation, would be “replaced” by an inclusive people, in a New Creation. 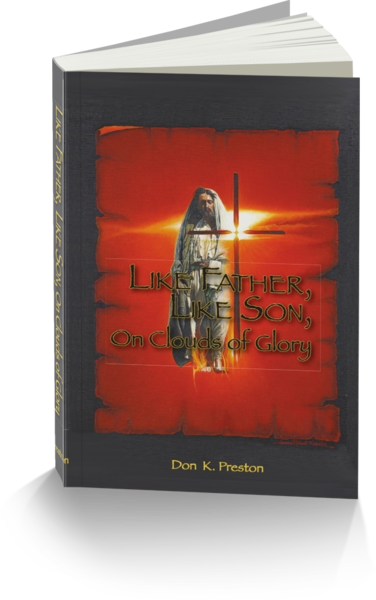 See my book, Like Father Like Son, On Clouds of Glory, for a discussion of Replacement Theology. This book has a great discussion of Replacement Theology! Replacement Theology – Good News / Bad News! Could anyone get the idea that this “replacement theology” found here would be a bad thing? Certainly not! It is the time of the redemption of Zion, the glorification of the God of Israel, the deliverance from death! Now, as we shall see as we continue this study, there would be a “bad news” aspect to the promise of the New People, but, the “bad news” is not the focus. The good news of the New Creation is the focus. Thus, even in God’s Old Covenant promises made to Old Covenant Israel, He warned them, for centuries, that the “set time” was coming when He would make a New Creation, a New People. They should not cling to their old identity, but look forward to that glorious New Creation. This is the true Replacement (Fulfillment!) Theology of Scripture. It is not the Replacement Theology of Riddlebarger, or Boettner that posits the failure of Israel. No, this is the story of God’s original Replacement Theology, and that was never a truly “bad thing.” Stay tuned!